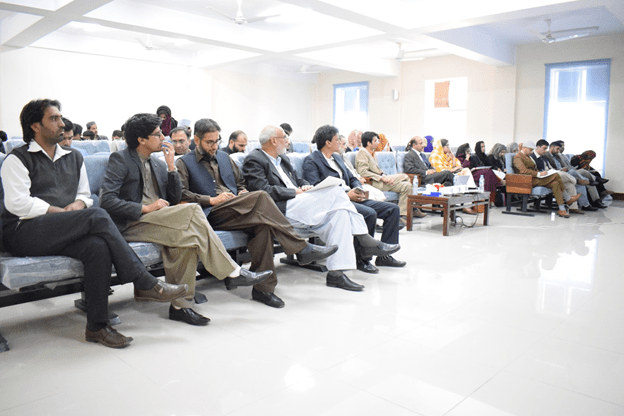 Participants: Students of Management Sciences, Bank Alfalah, Dubai Islamic Bank, Habib Bank Limited, Bank Al Baraka ,The Bank of Khyber and National Bank of Pakistan. 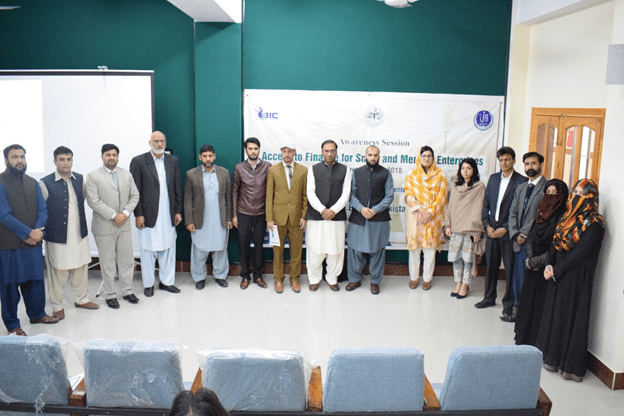 Business incubation center organized awareness session on “Access to Finance for small and medium enterprises” in collaboration with State bank of Pakistan on November 08, 2018 in the University of Haripur. Event started with the recitation of Quranic verses after that Dr. Mumtaz Khan from department of Public Health welcome all the participants and share his views about BIC. Resource person from State Bank of Pakistan gave presentation about their policies for SME. SME sector contributes significantly towards national GDP, employment generation and export earnings. 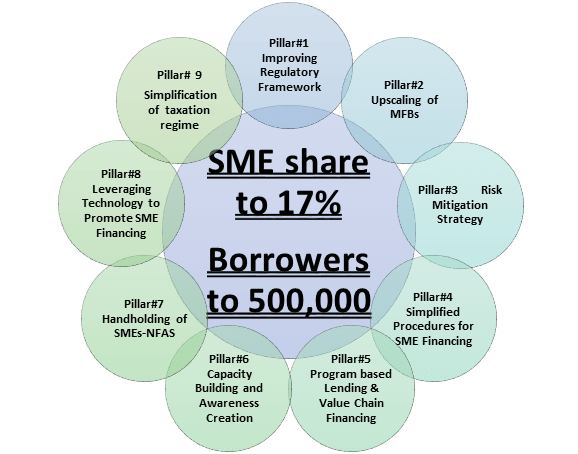 Hence the impact of financial inclusion of SMEs has important implications for economic growth, competitiveness and job creation. Overall the session is very informative BIC team took feedback from participants at the end. Vice Chancellor, Prof. Dr. Abid Farid concluded session and gave shield to the speaker and distribute certificates among participants.